When I was in my 20’s, a friend—I’ll call him Anthony—gave me a book called Be Here Now, by the Western-born spiritual teacher, Ram Dass. I was eager to dive into it because Anthony was totally gaga over the “amazing” concepts contained therein . . . um, none of which I’d been able to put a finger on, because I hadn’t been able to pin Anthony down to my satisfaction. So the book would be my way into Anthony’s head was what I thought, because the title meant nothing—it held no mystery or cachet for me (although Anthony did)—because where else could or would I be except where I was? So in I went, leafing through the book before actually reading, what I always do with new books—and my heart sank looking at a drawing I didn’t get, which mirrored a man I didn’t get (Anthony, who, in the end, I shouldn’t have gotten). But now here I am, many, many years later, with my own book out—a novel entitled The Angry Woman Suite—and I get “be here now.” I get it big-time, because “be here now” got me from “back then,” when I was a mess, to, well . . . here and now, where I like who I am. Yet, why, someone recently asked, has it just come up again? Why are you talking about it so much now? First, it didn’t just. But I haven’t written about “be here now” much until now, because, for me, it feels a little like talking or writing about breathing—which could make me sound a little too much like Anthony lecturing on the right way to breathe. But the truth is, “be here now” never actually went away, because big truths never do. After Anthony, life eventually took me from being a scatterbrained, impulsive, unhappy, immature and romantic compulsive idealist (and those were my good traits) with a big ol’ stirring spoon in a drama cauldron the size of New Jersey to a relatively centered—and, according to others and I’m not going to quibble—calm, and mostly content (the three C’s) woman who learned to “be still.” To listen to the quiet (yes, that does mean turning off the cell, the music, the car radio, and the TV). And that, as it turned out, became my path: quiet. Not Anthony. But I didn’t even know I loved quiet so much until I forced myself to finish my first book after Anthony broke my heart (and I say forced, because as any novelist will tell you, it is extremely easy to turn away from finishing a book). 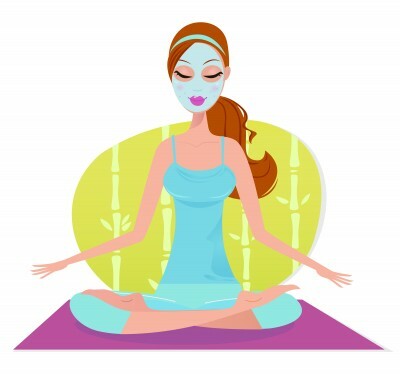 But, come to find out, writing is a lot like meditation. In fact, writing is meditation. Creating something from nothing, becoming fully absorbed in its creation, even separating from time and place during, causes us to secrete dopamine, a lovely fulfilling hormone that stills the “hysterical” hormones, cortisol and adrenaline. “Steer our brains”? Oh, boy. Who knew? Why isn’t this stuff being packaged and marketed? And who needs a drama cauldron that invariably leaves its stirrer exhausted, unfulfilled, and unhappy, when real joyfulness is creativity—“be here now”—or, put another way, “mindfulness”—and why couldn’t Anthony just have said that? Mindfulness is engrossing, beautiful, and ever-changing—and it’s habit-forming, so that after a while we even notice that the desire for creating becomes stronger (and the books and blog posts get finished). And another plus is that with practice, quiet, and continual creating, we become able to tune into the “here and now” even when not actively creating. 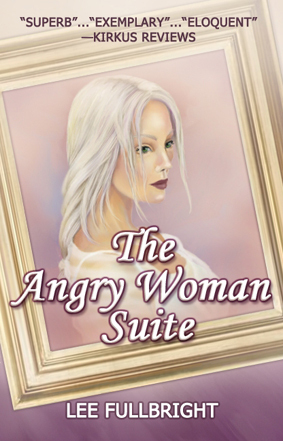 On the other side (the dark side *smile*), my just-released novel, The Angry Woman Suite, a Kirkus Critics’ Pick, with enough drama in it to fill ten cauldrons, is available from Amazon.com in quality softcover, or from the Kindle store, and also via the Barnes and Noble website. The Angry Woman Suite, about a celebrity double murder in Pennsylvania, in the early 1900s, and the effects on three generations of two families, has also been nominated for a Global Ebook Award. Thanks for stopping by, and here’s to peace and quiet in a compulsive, noisy world. How do you “be here now”? This entry was posted in A Writer's Life and tagged creativity, dopamine, fiction, Kirkus review, Lee Fullbright, novels, Ram Dass, The Angry Woman Suite, writing. Can’t wait to read your novel. Sounds terrific. Thanks for sharing.